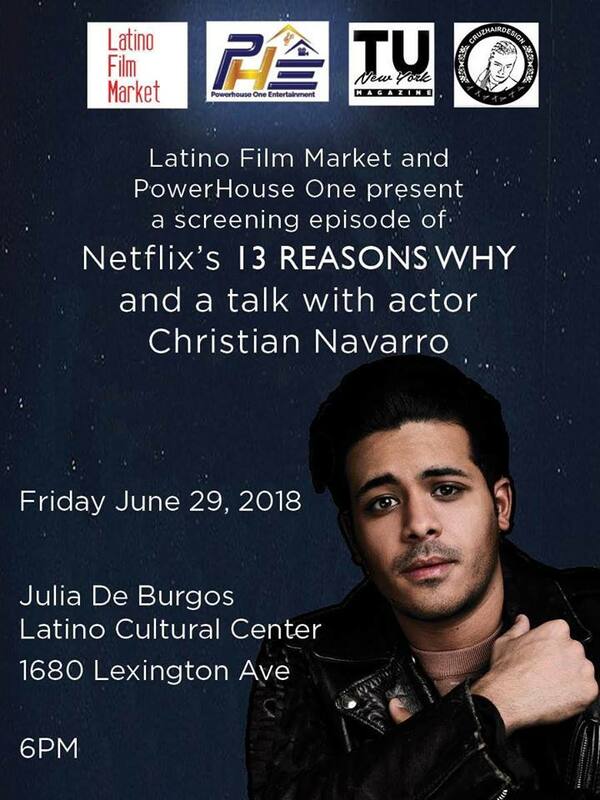 Latino Film Market and Powerhouse One present a screening episode of Netflix's 13 REASONS WHY and a talk with actor Christian Navarro. $10 Donation. For RSVP, click here.